Artist Talk: 3-4 p.m. | Artist's Reception: 4-6 p.m. 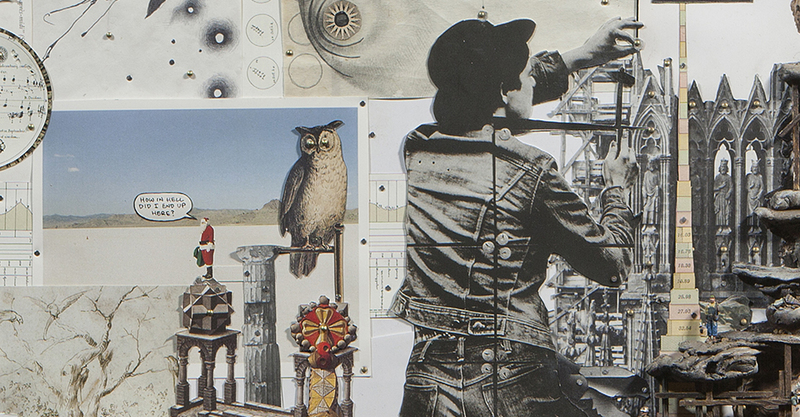 Enjoy an artist talk and reception on Saturday, July 14, as part of the Irvine Fine Arts Center's exhibit, Moving at a Snail's Pace in Geologic Time, which features Orange County-based artist Eric Stoner's work combining found imagery, original drawing and photographs, woodworking, found objects and other media. Artist talk is 3-4 p.m.; artist's reception is 4-6 p.m. Moving at Snail's Pace in Geologic Time runs Saturday, June 16-Saturday, Aug. 11.